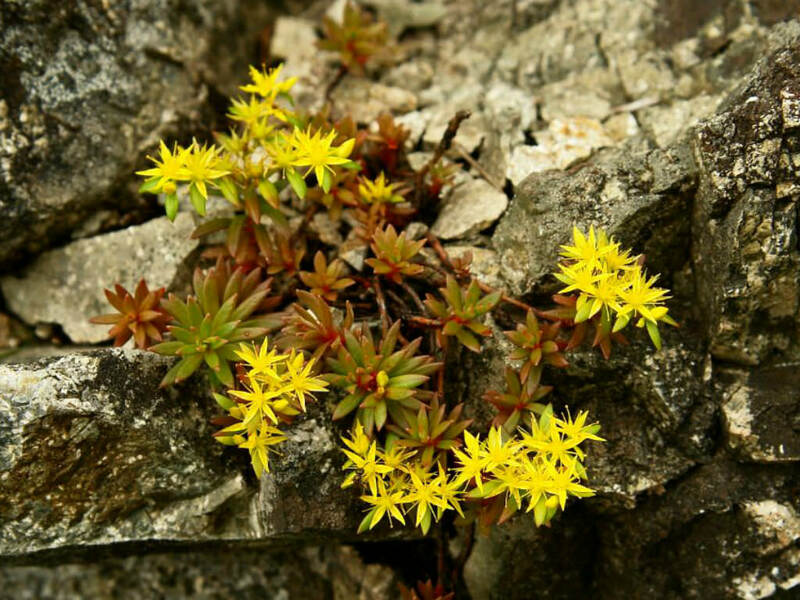 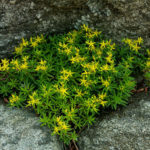 Sedum polytrichoides is a low-growing, mat-forming, evergreen, perennial succulent with ascending slender densely leafy stems. 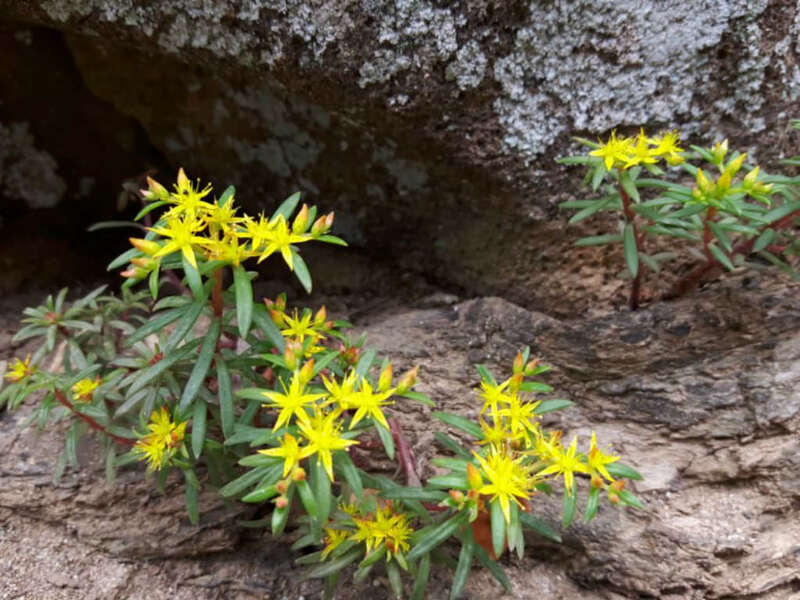 The leaves are alternate, linear-lanceolate to oblong and up to 0.6 inch (2 cm) long. 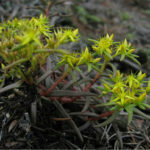 The flowering stems are ascending, slender, woody, branched from the base, up to 4 inches (10 cm) long and more remotely leafy than the sterile stems. 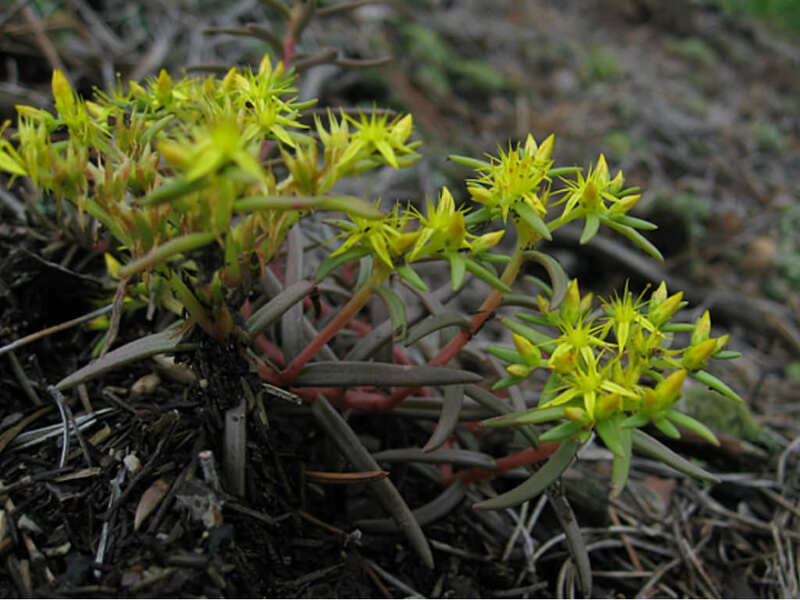 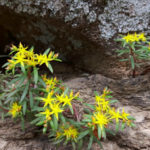 The flowers are small, star-shaped and yellow in color. 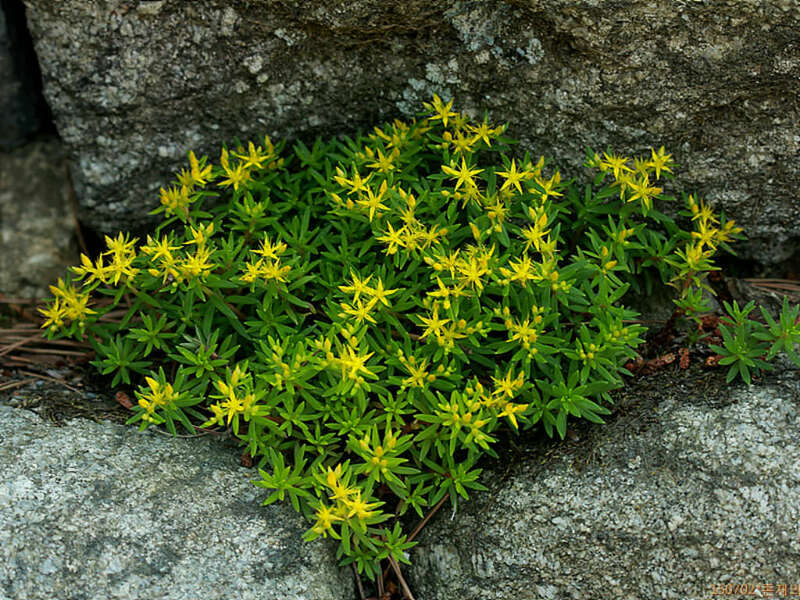 Native to China, Korea, Russia and Japan, near the coast and mountain forests at moist rocky places in shade.